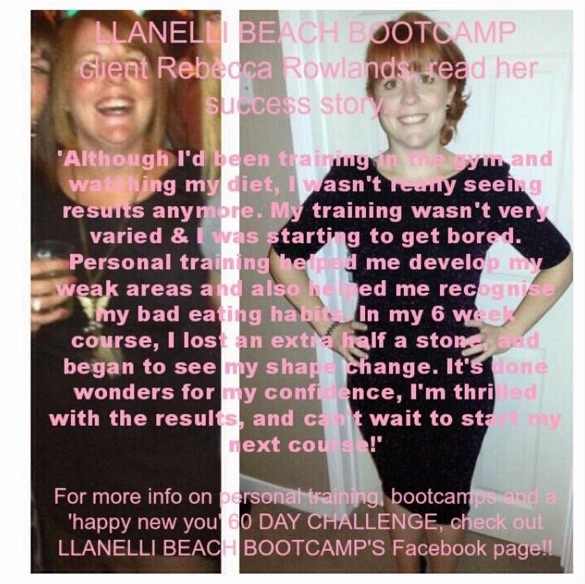 “Llanelli Beach Boot camp has had such a positive effect on my life. Physically, my fitness levels have never been as high; I’ve achieved things I could never have imagined before. I’ve met some brilliant people, who I am now lucky enough to count as friends, and my confidence has had a massive boost. Rebecca isn’t our only happy client either. 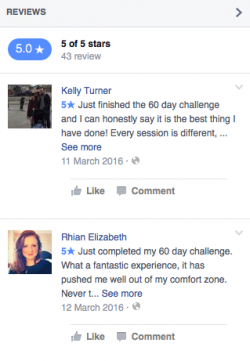 Check out our other testimonials!